Just over 12 months ago, my good natured self innocently volunteered to help out with a prep year excursion with some other Mums from school. RMA Ambassador, Ana Croger, was good enough to drive a few of us from Brisbane, with the conversation free flowing about children, husbands, work and life in general. It was then that my friend Emily piped up and asked me a question which appeared to come completely from left field . . .“Are you a Runner?” Whilst momentarily stunned that the conversation had headed down this path with an accomplished Marathon Mum in the front seat, I quickly regathered myself answering with a short and, I thought, resounding“No!” With that subject matter quickly shutdown, the conversation quickly moved back to other things and I breathed a deep sigh of relief, with that little voice in my head quick to thank me for dodging that bullet with apparent ease. A few weeks later, whilst sharing a bottle of wine and some conversation with Emily, I made the mistake of telling her that I had read one of Ana’s race recaps. It really was amazing to read about the race, her experience and the fact that she is also a Mum with the same challenges and pressures just like me. I harmlessly (carelessly) said aloud “wouldn’t it be great to be able to run a half marathon?” Now let me be very clear on this point, this did not mean I “wanted to”, nor that I was “thinking about” running a half marathon, just that I thought “those people” were amazing and inspiring, yet, best left to “those people”, and not “this people”. But the response I received from Emily was “that’s great, I really want to run a half marathon and would love a training partner”. This is one of those slightly inebriated conversations that you have in the company of good friends and wine, which I thought would be totally forgotten by the next day. Oh how wrong and horrified I was when I saw she had publicly posted it on Facebook the next day for all to see! What haveI signed up for!!? So, now I felt like I “had” to start running, because, well, it was on Facebook. And, we all know that once it is on Facebook the world knows and holds you accountable. It would be embarrassing if I didn’t do it, wouldn’t it? I still remember when retelling the story of my new found predicament to my Mum and Sister. For a moment I thought I had embodied the comedic genius of Kittie Flanagan, with an audience of two now beside themselves, rolling down the isles in fits of laughter. Were they laughing at, or with me? I don’t think they were laughing to be mean and I completely understood why they laughed. It was totally out of character and quite extreme for me to be even contemplating doing something like this. If nothing else, it at least strengthened my resolve to give it a red hot go! At this point I hadn’t done much exercise at all since having kids, except for the very, and I mean very, occasional gym visit. So I took myself out and treated myself to a new pair of stylish running shoes. Not being a runner, I didn’t know these should be properly fitted (mistake #1), but they looked pretty stylish (for running shoes) and also perfectly matched the colour of my stunning new running outfit! I then downloaded a recommended running app so I had some idea of what I should be doing, for how long and when, and off I went starting at just 2km. Isn’t this why the human species invented cars?! Uber anyone?! When I first started it was tough! Every time I had to increase my distance by 1km, it was my kids that inspired me to just get out there and just keep going. They would ask me, “how far are you running today Mummy?” I would tell them and openly share my doubts that I didn’t know if I could do it (that annoying little self-defeating voice again). The kids were always confident that I would make it. They always believed in me. It was time for me to believe in me. When running, I could visualise their beautiful faces and imagine how proud their little voices would sound at the end of my run. Each time I returned they would ask, “how far did you go this time Mummy?”, and when I told them they would give me such an almighty cheer and were so excited! Seeing how proud they were of me and hearing them speak fanatically about “Mummy’s running” gave me the strength and self-confidence I needed to pursue this crazy running thing.. . I had heard about it, read about it, time to give parkrun a go. Parkrun is fantastic and I recommend everyone that is interested in running (or health in general) to give it a go. It has a great community feel and the volunteers are amazing! My kids and husband decided to come to parkrun with me one weekend and loved it, so started coming on weekends when they could. I loved that running seemed like it was now becoming a part of our family and a new active lifestyle for us. Is it possible that I may actually like running? Now although Emily didn’t call herself “a runner”, she was a lot further advanced than me, having done quite a few parkruns and a number of 10km events. I felt I needed to get myself to a level of fitness where I could comfortably run 5km before I could be any kind of decent running partner. That and the fact that I wanted to be able to breathe and talk to ensure there was enough distraction going on to make the kms go faster! We started doing some +5km runs near home and also continued our weekly parkrun sessions, gradually improving our fitness levels and increasing our distances each week. That little voice had started to fade away and a much stronger voice was making itself heard . . . maybe I really could be a runner! I felt committed and connected to something that could solely be mine, something special that was separate to the many distractions and responsibilities of life– I could be selfish for all the right reasons, fully supported by my family to pursue this thing that was making me feel really good about myself. I was quickly realising how enjoyable and social this sport (and pursuit of health in general) could be, meeting so many other amazing running Mums along the way. I started doing weekly intervals, trails, cardio classes, parkrun, another 1 or 2 runs during the week and then a weekend long run. I built up quickly, did too much, didn’t have great shoes (although as far as running shoes looked, still fabulous) and ended up with shin splints. I wouldn’t let this setback stop me, so I changed shoes, sought the guidance of one of our friends who is a sports doctor, and had to learn how to manage shin splints from now on. I vividly remember one week at intervals, where I felt a bit of a twinge in my right calf but it wasn’t too bad so I kept running. At this stage I was a number of months into my training program and I had built up my distance to 16km. During this long run I actually felt comfortable the entire way and still felt like I could have kept running at the end, so I decided it was now time to sign up for the GC half marathon. 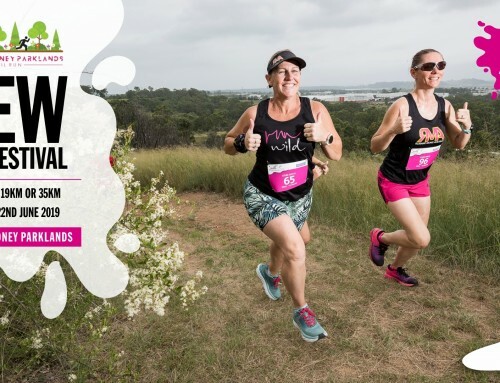 Just a week later, I felt like I had jinxed myself by finally registering for GC, when I attempted to run 10km at an organised twilight run with the goal of doing this for the first time in under an hour. Although I finished the run and reached my goal, it didn’t feel worth it, as I could hardly walk at the end due to a terrible calf pain. I knew it was bad and I felt devastated even before I knew the results. An MRI confirmed a “stress reaction” which is similar to a “stress fracture” and treated the same, so I was put in a leg splint and instructed not to run for 6 weeks. This meant I was definitely out for the Gold Coast Half. After all the training and preparation we did, I was not going to be by Emily’s side to finish our first half together. Disappointment wasn’t even close to the pain I was feeling. My family tried to be supportive and understanding, but this injury, whilst common, did make me feel like a failure (little voice . . . I told you so . . .). By the time the GC Half came around I was allowed to start training again, but had to start right back at 3km, with minimal bitumen contact (trails and grassed school ovals were my new best friends). Regardless of my setbacks at that time, I wanted to be at the finish line to see Emily over the line and support her, and the easiest way to get there with all the road closures was to run there. The atmosphere was amazing and I was running against the competitors, cheering for all the RMA members I could see along the way. A few people called out to me that I was running the wrong way, and sadly I felt like I was. To be running again, with my legs now feeling much better after taking some time off to heal, was hugely emotional and I didn’t realise how much I had wanted this. To be at the event and not in the event hurt! But, I was so very proud to be there and see Emily achieve her goal, she was amazing and I was so very happy for her on the day. My time would come . . .
Now injury free, my training continued. My fitness and strength were getting better by the day, and by chance another friend asked a group of us if we wanted to go to Queenstown, NZ to run the half marathon in November. I had never thought about doing a run overseas and having not been to NZ since I was a kid, I was excited by this new opportunity. My recovery had really only just begun and I was unsure if I could make the distance. I was also very anxious about my injury returning. The inclines, the weather, my family not being there to support me all played on my mind. Whilst this may have stopped the old me, I was committed to doing everything I was supposed to in the hope that it would pay off on the day. Lock me in, I’m going . . .what could be better, running my first Half and a girls weekend away . . . So, I increased my distance by no more than 1km each week; did my stretches before every run; continued to run primarily on grass; iced my shins after every run; massaged my shins every day; started doing some strength exercises; had some unpleasant dry needling done a few times to loosen my calves; and, made sure to have a non-impact day of swimming or bike riding or a rest day between each run. It wassuch a massive commitment to try to stay injury free, but I was determined to be there and give it my all. 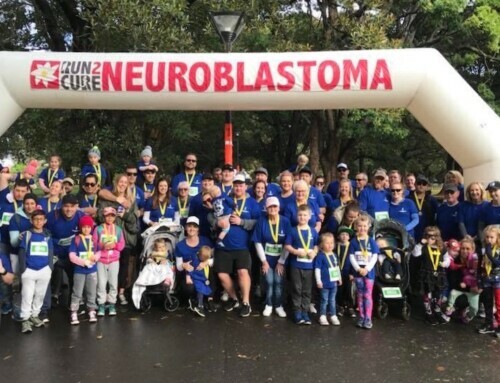 Sadly about 6 weeks out, one of our good friends was given the horrible news that she had a stress fracture and couldn’t run the Queenstown half with us. I felt devastated for her as I knew what it was like to have been training so hard for a goal that was now so much further away. The week before Queenstown she was cleared to walk the 10km with her brace on her leg. I was so proud of her for still coming to New Zealand knowing how hard that would be, and being there to support the rest of us. My last long run before my taper period was a complete disaster. I was supposed to run 18km but started struggling at around 9km; walking at about 12km; and, had to stop at McDonalds to get some ice to cool down-it was an extremely hot day. 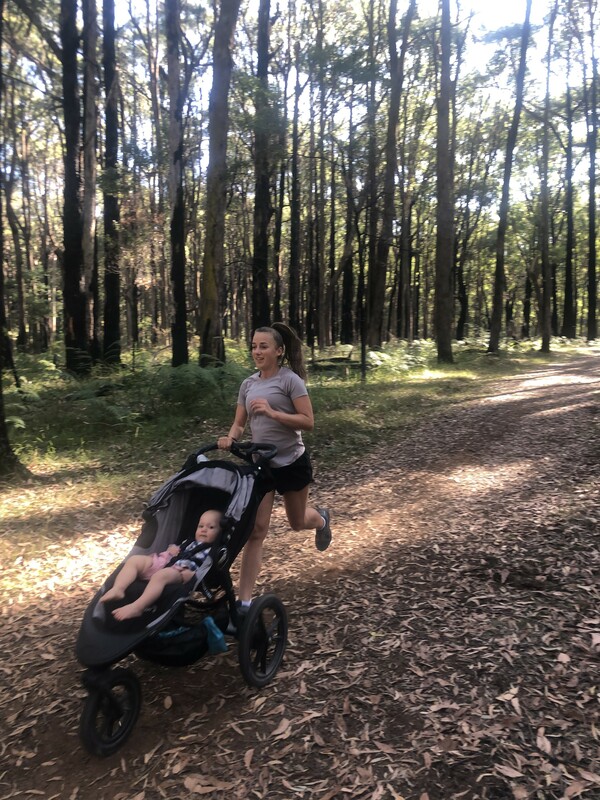 Emily had a pre-existing ITB issue and because we stopped, her ITB started to play up, so we started doing some run/walk periods, before ending up walking the last few kms. While we were walking, I said that if I actually got there and finished this half, I wouldn’t be keen to ever go through the training and anxiety of injury again, Emily agreed. I then spent half the day in bed with some form of heat exposure and my confidence in achieving my goal was shattered. Having had the injury, every niggle or pain caused me anxiety and I was always questioning what it was and should I keep running or stop. Luckily, I had a few good (cooler) runs the following week, but with the longest on my plan being just 12km, I still wasn’t sure if I could do it. But, I took solace in the fact that at this point it was looking like I was actually going to make it to the start line injury free. I am on my way . . . I can’t begin to describe how nervous I was the morning of the run. This was offset by an immense level of excitement, a sprinkling of trepidation and a whole lot of adrenaline. Seven daring Mums headed off on the shuttle bus to the start line. The drive seemingly took forever and I couldn’t believe we had to run that distance all the way back. I kept thinking, “how did I get myself into this?” and “why am I doing this?”, I could be at home with my family. It was important that I put these thoughts aside and focus on the here and now, the experience I was about to undertake. The shuttle bus missed the half marathon turn off and was heading towards the full marathon – EXCUSE ME, I definitely can’t do that Mr Bus Driver thank you very much and please turn around ASAP! After what seemed like an eternity, our brave group finally arrived at the drop off point. Stepping out into the cold, fresh Queenstown air, it was as if I had never breathed such pure air before, but at the same time it was icy cold and very different to the 30+ degree temperatures I had been training in. We huddled together to stay warm, waiting for the run to start. . .eventually our time came. The tree lined street we had to walk down to the start line was absolutely stunning and helped to distract me a little from what I was about to embark on, and then it happened, the gun went! The energy in the air was exhilarating and my feet started moving, and that was it, we were actually doing it. I was running my first ever half marathon. Strong, loud voice . . . You Can Do It!! After the first few kms I started wondering if my family back home had started tracking me on the app and could see that I was actually doing it. I couldn’t think about my kids for long as I started to get too emotional and teary every time I thought about them, especially knowing they wouldn’t be at the finish line to see me, for me to hug them and them to hug me. However, today was about me and achieving my personal goal, I was sure that when I returned home those beautiful hugs would be there waiting for me. I never thought I would explain a run as being so fun when some of the training runs felt like such a chore. It was absolutely amazing and I don’t think another half marathon could ever compare to this one with such great friends at such a gorgeous place. Six of us started the half together with the other friend doing the 10km. Tracey, an accomplished runner, went ahead to run her own half marathon race. I didn’t expect the remaining five of us to run together the entire way, but we did and we had so much fun. The conversations were hilarious, the singing loud, fantastic and comical, there were trivia questions along the way and our answers were generally more wrong than right. 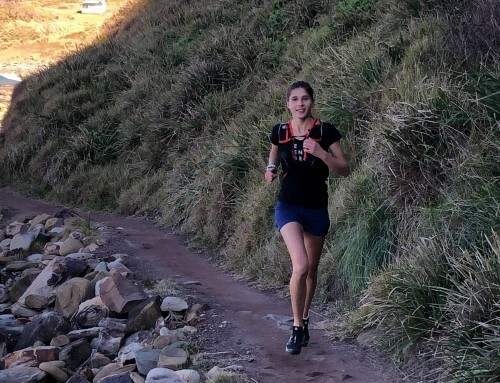 Ana shook her pink maracas with extraordinary enthusiasm, getting the crowds involved, doing jump shots for the cameras and taking in the absolutely stunning vistas and landscapes along the way. Back to the run . . .
We didn’t want to stop at all in case Emily’s ITB issue played up. We had planned to have a gel around the 8.5km water station, but came across it faster than expected, so as I fumbled to get my gel out of my belt, I dropped it. I almost collected two runners behind me when I stopped suddenly to bend down and pick it up. So when we started getting close to the 14km water station where we planned to have our second gel, we made sure we had them out ready to have and grab some water quickly as we kept running through the water station. The km’s kept ticking over faster than I ever expected and I couldn’t hide my excitement after reaching the 18km mark that I was now on my longest run ever. With just 2km to go my right hip started to get sore and tired, and I felt some pain under my ribs that made me feel ill. I thought to myself just keep moving, you’re nearly there. With just 1km to go, I was seeing people on the sidelines collapsed and being sick and I started to worry that my self-doubt would start to enter my head space, so I said out loud, “just don’t let me stop”. I repeated this mantra over and over in my head and it helped me feel stronger and surprisingly, any remaining self-doubt seemed to leave my body, not once did I think I needed to stop. I am going to finish this run! As we drew closer to the finish line, there was a hill and that was tough to see after running over 20kms, but after reaching the top I could hear the chanting and cheers of the crowd and I knew that we were so close now. The five of us that ran together the whole way grabbed hands with just 200 meters to go, turned the corner and then I could see the ramp leading down to the finish line. I was actually going to do this, I was going to finish this half without stopping. When we were almost at the finish line, I looked to the right and in the crowd I could see our two friends there, the one who walked the 10km with her brace and the one who had finished the half ahead of us. I was so excited and emotional to see their familiar smiling faces and hear them cheering us on. It was very surreal to finally run over that finish line especially with all five of us holding hands and finishing together. The emotion was so overwhelming that as soon as we all started hugging, I couldn’t hold back the tears, yes they were big, fat, ugly tears that I couldn’t control, tears that were for so many reasons; the emotion of finally finishing a year after starting my journey; running it with Emily who I had started out with; running it with Ana who initially inspired me; for my family who have supported me and cheered me on through all my training but weren’t there to see me finish; and, tears for myself that I actually achieved my goal of running the whole way. Ana was interviewed straight after hugging me and I heard her mention me and how proud she was. I couldn’t have done it without the support and encouragement of her and everyone that was part of my journey to this point in time, family and friends. Although I had so much doubt in myself, everyone else seemed to believe in me which was amazing! What’s even more amazing is that my belief in me has grown immensely, I am a changed person and can do things I never thought possible. Only a strong voice now remains and it will stay with me now forever. It was also great to see two new records on my watch – longest run and fastest half!! I can now say that no one in my family is laughing anymore, they are all super proud! Although Emily and I both said we wouldn’t do this again before the race, I am surprised to say we are already talking about what’s next for 2019!! That feeling of achievement must be so addictive. I feel fitter than I have ever felt, so why stop now…? To Ana and Emily, I blamed you for getting me into this, but I can now say I love you for it!! I am now a half marathoner!